They are questions that are central to democracy: who gets to vote, how accessible is voting and ensuring all ballots are counted fairly. Voting rights and ballot access kept popping up as campaign issues this year. Now they're post-campaign issues -- unavoidable and more urgent than ever. Voter access is and has been central in Georgia, where Tuesday's run-off for secretary of state will close the books on the 2018 midterms. The race has implications for 2020 and beyond, following a closely contested gubernatorial race where lawsuits still linger. In New Hampshire on Wednesday, the longest-serving secretary of state in the nation could lose his job. 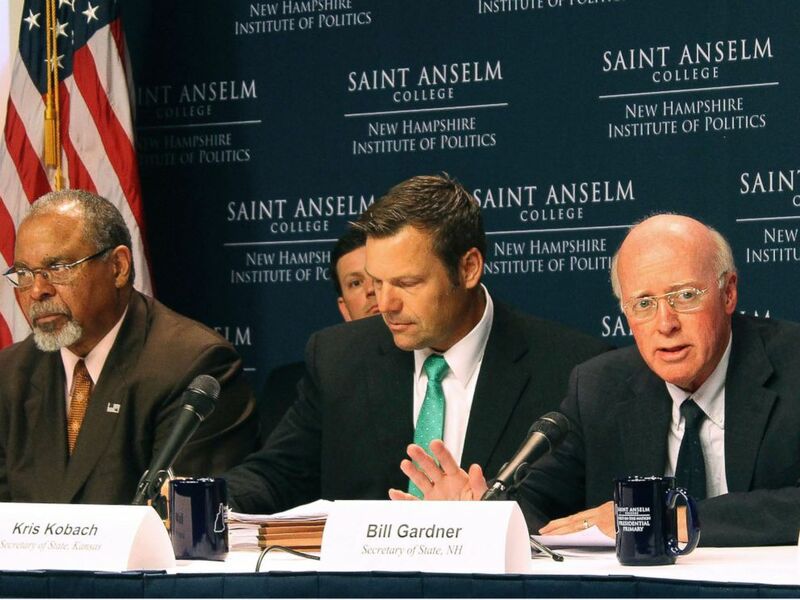 Bill Gardner, the Democrat who famously sets the first-in-the-nation primary date every four years, has come under attack because he participated in the now-disbanded voter-fraud commission created by President Donald Trump. Meanwhile, in North Carolina, a House race remains in limbo amid credible accusations of voter fraud. For all the tweets and unfounded accusations emanating from Trump, it might be a Republican who was the single beneficiary of documented, large-scale fraud this year. The bipartisan attention could mark a moment for a nonpartisan examination of how American elections are run. One might also imagine, in this moment of national reflection, how President George H.W. Bush might have led the country now. New Hampshire Secretary of State Bill Gardner, right, introduces one of the speakers at a meeting of the Presidential Advisory Commission on Election Integrity on Tuesday, Sept. 12, 2017 in Manchester, N.H. It's been almost a month since the marquee gubernatorial matches in Michigan and Wisconsin were decided, but already bitterly partisan fights are emerging between the states' newly elected Democratic governors and Republican-controlled state legislatures. In the Badger State, the Republican leaders are mulling a plan to strip incoming Gov. Tony Evers of his authority over key areas of the state government, limit early voting in the state and potentially give themselves the power to prevent Evers from pulling the state out of a lawsuit challenging the Affordable Care Act. In Michigan, the state legislature is under fire for its efforts to gut minimum-wage and paid-sick-leave laws approved earlier in the year in an apparent attempt to keep them from becoming November ballot referenda. Though it was those very members who initially passed the measures, supporters of the initiatives believe it was nothing more than a ploy to tamp down turnout on Election Day. Both attempts are rightly being criticized as attempts to shirk the will of voters in both states. One Wisconsin Republican lawmaker claimed that the reasoning originates from a lack of "trust" between his party and the incoming governor. More important than that supposed lack of trust is the decision by voters in his state to deny Republican Gov. Scott Walker a third term and elect a Democrat. Neither party should have the ability to change the rules of governance without challenge, and this case is no exception. 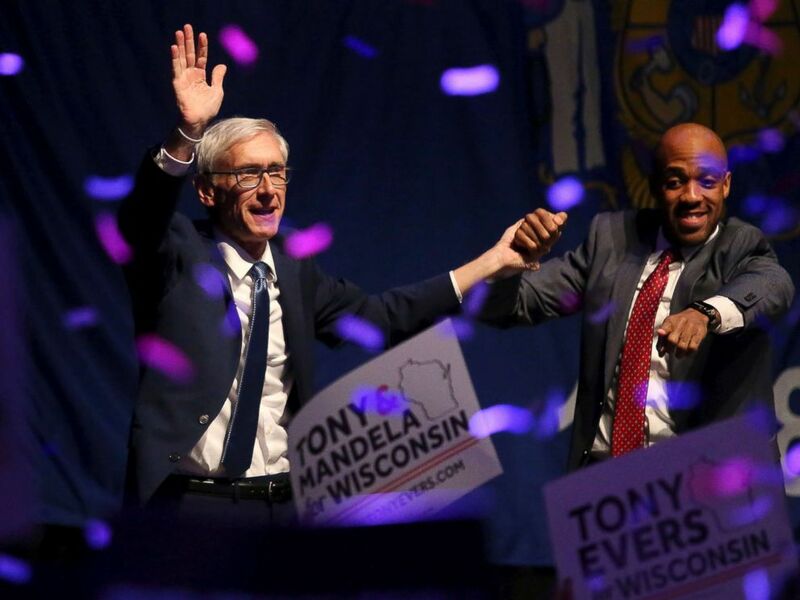 Wisconsin Democratic gubernatorial candidate Tony Evers, left, and Lieutenant Governor candidate Mandela Barnes appear at a post election party at the Orpheum Theater in Madison, Wis., Nov. 7, 2018. 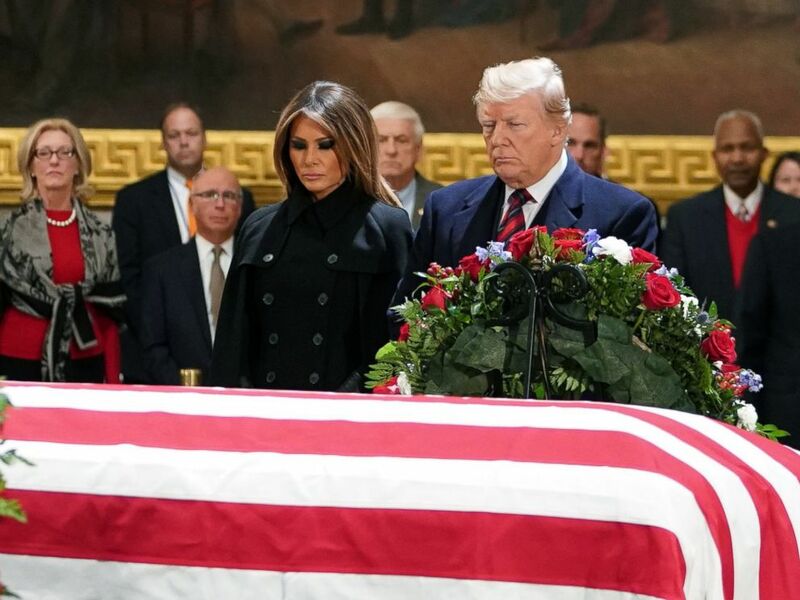 With America mourning former President George H.W. Bush, Republicans and Democrats have delayed a confrontation over funding for Trump's border wall and a possible partial government shutdown for two weeks. On Monday, House GOP leaders introduced a two-week stopgap funding measure that would fund the Department of Homeland Security and a handful of other agencies at current levels through Dec. 21. The House and Senate are expected to take up the measure and pass it before the Friday, Dec. 7, funding deadline. The bill gives lawmakers more time to negotiate a possible compromise over funding for Trump's border wall. But the stopgap is no guarantee of a deal -- just a possible Christmas cliff. Secretary of State Mike Pompeo participates in a North Atlantic Council meeting with Georgia and Ukraine at 8:15 a.m. EST. He then participates in another North Atlantic Council meeting on transatlantic security at 10 a.m. EST. The U.S. Capitol will be open for members of the public to pay their respects to former President George H.W. Bush as he lies in state in the Rotunda. The Franciscan Action Network and faith leaders hold a news conference to discuss opposition to increased funding for expanded border enforcement, detention and deportations at 11:30 a.m. in Washington. The Note has a new look! Download the ABC News app and select "The Note" as an item of interest to receive the day's sharpest political analysis. The Note is a daily ABC News feature that highlights political analysis of the day ahead. Please check back tomorrow for the latest.